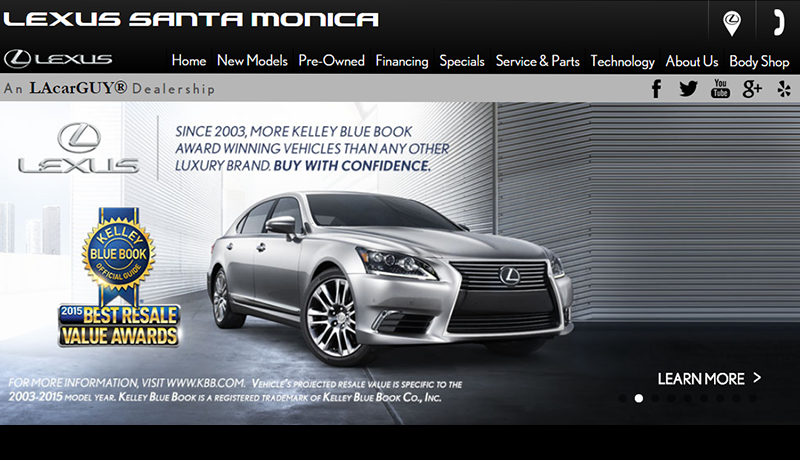 Project Manager for US Lexus dealer website program for TPG’s client Toyota Motor Sales. 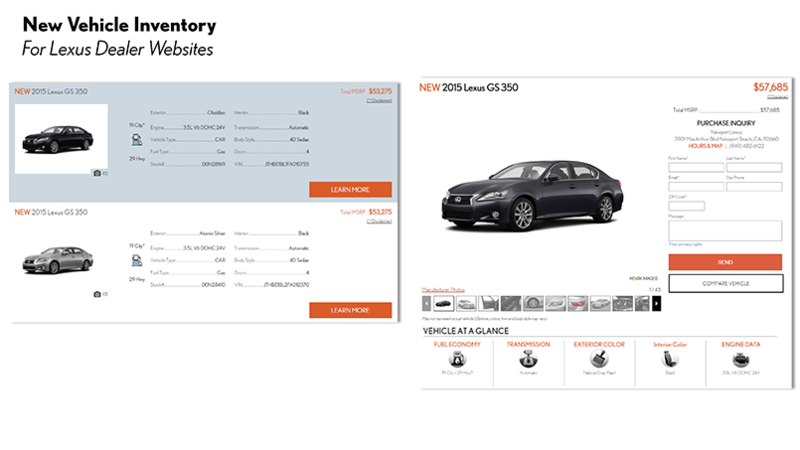 Oversees and manages all new projects and maintenance for Lexus dealer websites (235 dealers nationwide). 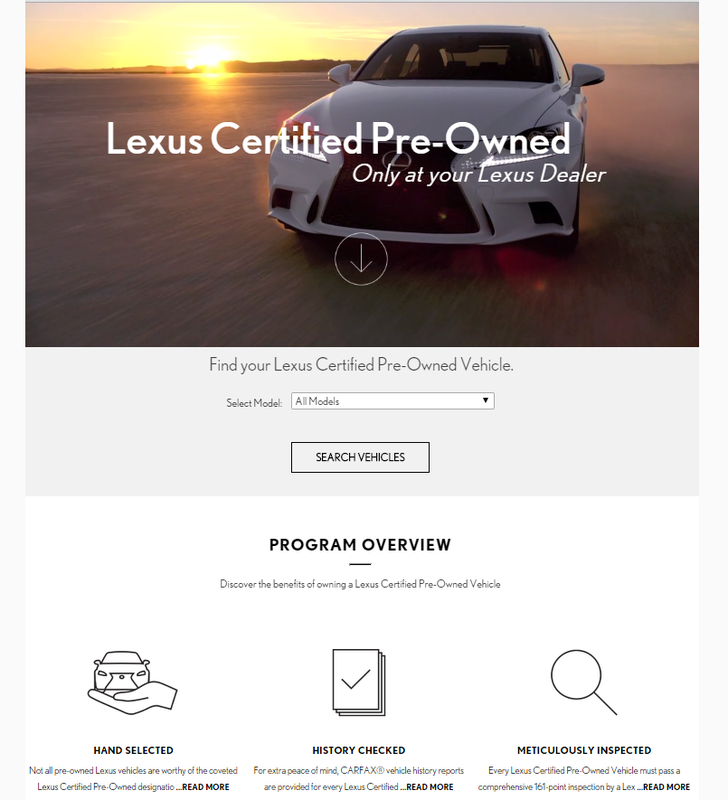 Managed major projects such as: site redesign to responsive platforms, launch of new vehicle inventory application, content syndication from Lexus.com, page redesigns, etc. 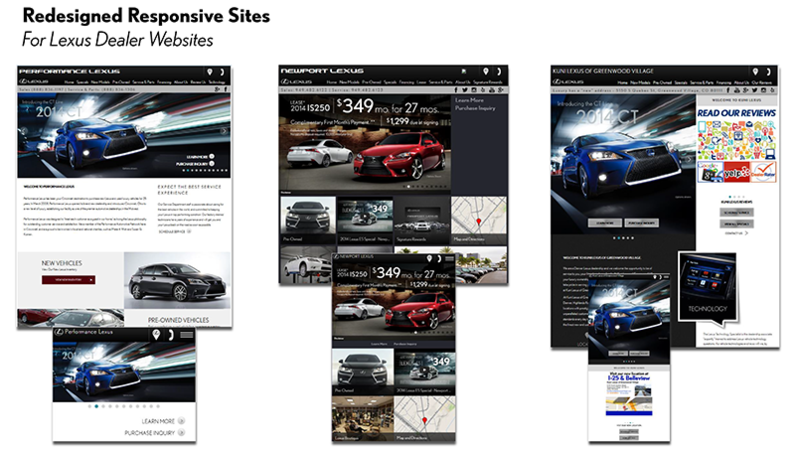 Platform, design, development provided by CDK Global. Key art provided by Team One, EVOX Images.